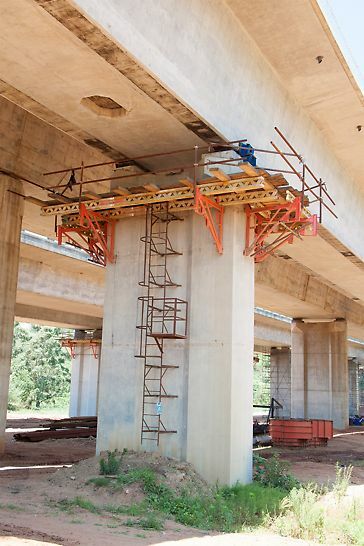 A new high-level bridge structure was required to provide a permanent, safe link over the Umdloti River on the N2 at Umdloti. The bridge replaced the previous unsafe low-level causeway. 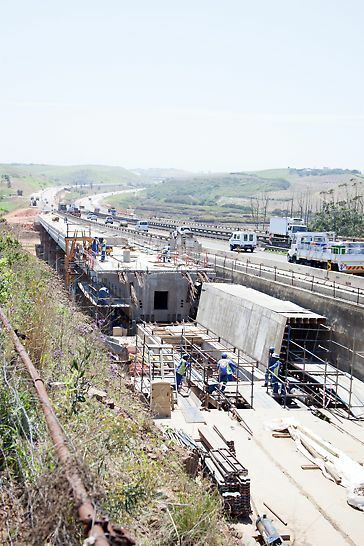 There are two river crossings associated with this project - the Umhlanga and Umdloti Rivers. The expansion also required the widening of the roadway by approximately 7.5m at select points along the freeway. VARIO Shutters delivered cost and time savings enabling the client to meet the tight deadlines. For the piers, the TRIO box out shutters worked extremely well. 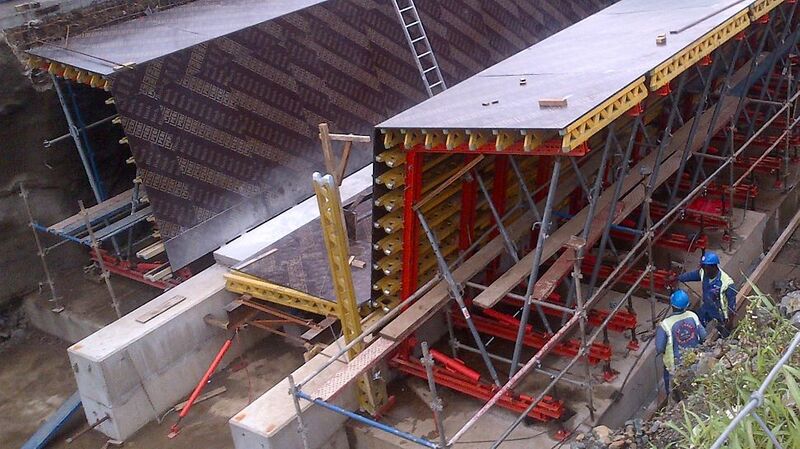 Group Five chose PERI VARIO for the incremental launch formwork on the project. VARIO shutters allowed Group Five to utilise two sets of shutters for the same price as one set of conventional steel shutters, which meant that they could cast the south and north bound sections simultaneously. 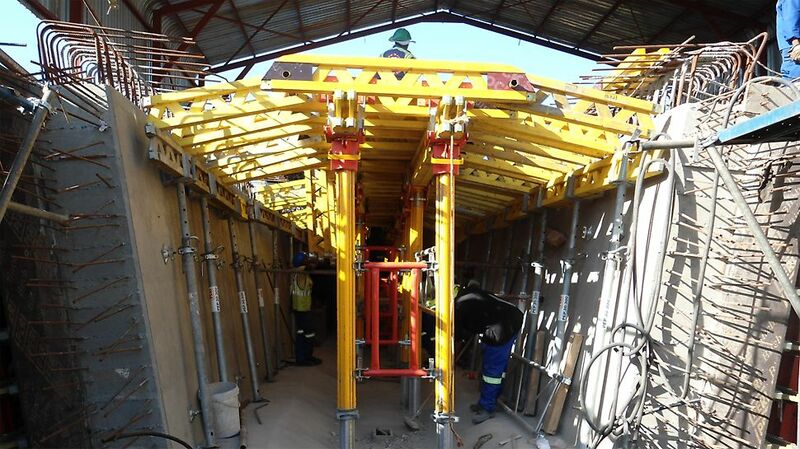 The massive piers were poured in 8.1 m increments using PERI TRIO with customised box-outs to create the recess in the concrete. CB Brackets were used as access platforms to replace temporary bearing platforms with permanent ones.